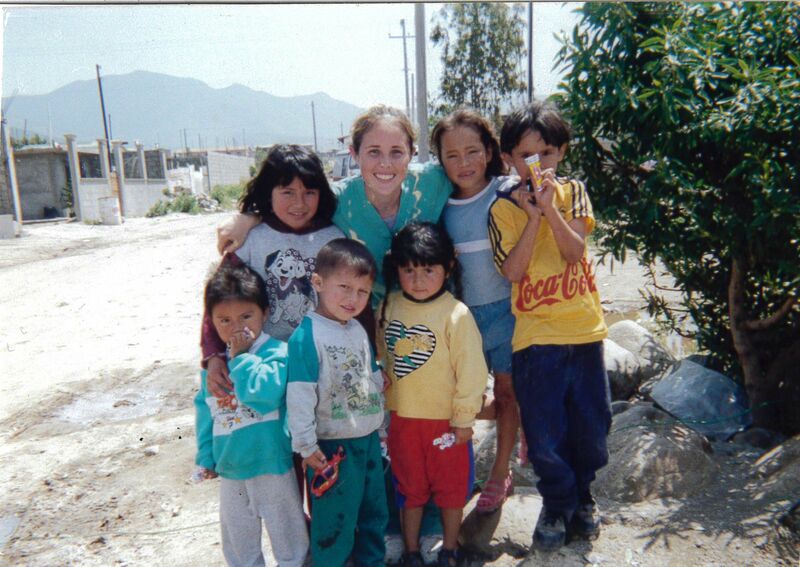 Katy Foltz Hastings '03 is dedicated to serving her community at home and abroad. It began with following a calling. In 2009, Katy Foltz Hastings ’03 made an intentional career move from sports therapy to nursing. The new path paved the way for her to volunteer on global medical mission trips. In 2009, she returned to college to pursue a second bachelor’s degree—this time in nursing—from the University of Oklahoma. Today, Hastings is an operating room registered nurse at Scripps Health Hospitals. Now, she not only serves her local community but also is able to provide medical support to those in need around the world. When a 7.8 magnitude earthquake shook Nepal in 2015, killing approximately 9,000 people and injuring nearly 22,000, Hastings and two friends, Amber, a nurse, and Gupri, who’s in public relations, pulled together a group of volunteer medical professionals from around the nation to immediately begin fundraising for a service trip. The team arrived in Nepal in June, a month after the earthquake. The group of surgeons, anesthesiologists and staff were briefly stationed in a hospital in Kathmandu before proceeding into the Himalayas. There, they set up a medical clinic to perform checkups, surgeries for earthquake victims and other non-earthquake-related medical care. While there, they also visited a school damaged in the earthquake, East Point Academy. “A lot of the kids were orphaned because their family members had been killed,” Hastings shares. “What’s most amazing is the principal of the academy adopted all of the schoolchildren who had lost their families.” In addition to offering health screenings, the team donated funds to support the school’s rebuilding efforts. The relationship continued after the trip with fundraising efforts to support the school’s upkeep and collection of winter coats for the students. Hastings’s passion for service work was sparked in high school. In fact, she was the first recipient of the LJCDS Deora Bodley Alumni Association Award for Service, named in honor of alumna Deora Bodley ’99, who was a passenger aboard Flight 93 on September 11, 2001. Her global service work continued in college, when Hastings accompanied her father on a medical mission trip to Fiji. As he performed surgeries, she taught CPR and supported preoperative and postoperative care. The doctors had to avoid performing multiple surgeries on a patient due to time constraints because many families traveled far distances. As a result, the major surgeries were done in a single operation. And recovery time was unlike anything in the United States.